Vrresto is classic Ruins as we’ve come to know them over the last eight or so releases, a high intensity power duo of drums, bass and operatic vocals that is often compared to Magma — a comparison that is accurate only if one is speaking of a distillation of the very rigid bass-heavy sound of Üdü Wüdü, complete with lyrics in an assumed language (not Kobaïan, however), and stripped of all of Magma’s spiritual, jazzy, and more reflective elements. In other words, punk Magma. 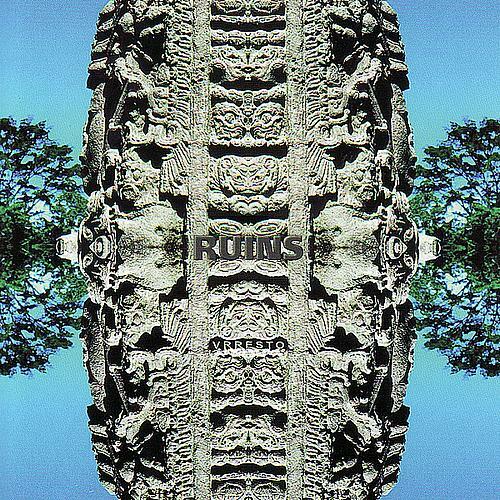 But Ruins is in fact much more than just that, as they incorporate numerous elements of the Japanese noise scene, as well as the perpetual bottom-end riffing that gives life to their spastic meter-shifts. With Vrresto the duo is in top form, more cohesive than the earlier Hyderomastgroningem or Graviyaunosch, and in fact the compositions and arrangements are the best this writer has heard from the two-piece band. Whether the changes that occurred between Vrresto and Symphonica are just a one-off lineup expansion or a permanent change in direction for the band remains to be seen. But the change that has resulted from the addition of three new members (keyboardist Kenichi Oguchi — ex-Kenso, and female vocalists Emi Eleanola and Aki Kubota — from Demi-Semi Quaver and Koenji Hyakkei respectively) to core members Tatsuya Yoshida (drums, composer) and Sasaki Hisashi (bass) is nothing short of remarkable. 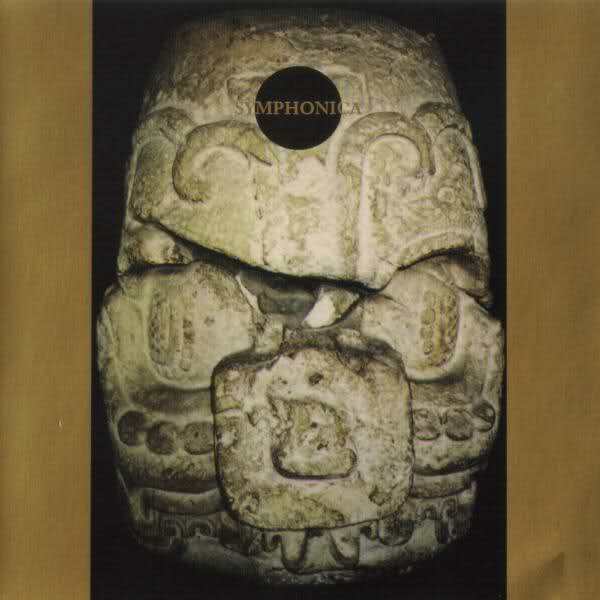 Though the compositions and attitude are basically the same as before, the arrangements are better filled out by the keyboards, adding a whole new dimension to their sound, while the added vocalists pull ever closer to the operatics of Magma, as well as other Japanese avant-noise experimenters. It seems at least a few of the eight titles on Symphonica are remakes of earlier ruins efforts. Hopefully this is not a one-off, as this five-piece lineup still has a lot of territory left to explore. Either of these releases would be an excellent introduction to the band.